A mobile game design which won a competition organised by the CBBC programme Appsolute Genius has been released. 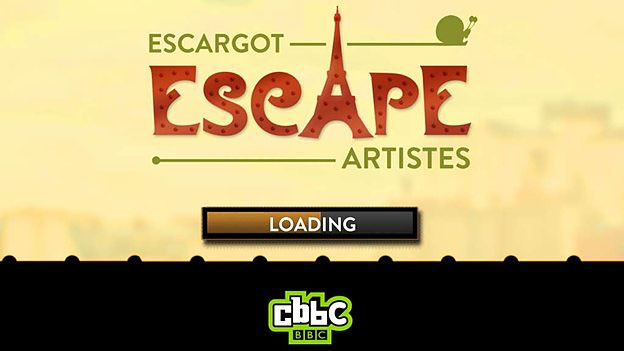 Designed by 12-year-old Alex, a budding game designer, and developed by Aardman Animations, “Escargot Escape Artistes” is an auto-runner game set in the Eiffel Tower. The app follows the adventures of ‘Le Dude’, an Escargot escaping the head chef of the Eiffel Tower restaurant who wants to serve him up to his VIP customers. The hero snail needs to escape and the only way is up the Eiffel Tower. Hacker the dog and Steve Backshall are also on hand to lend their support throughout the game with powerups. The game features art influenced by vintage Paris and Art Nouveau references, with colours reminiscent of classic French animation and cinema. The judging panel, which included The Duke of York, said the game was humorous, exciting and showed great imagination.